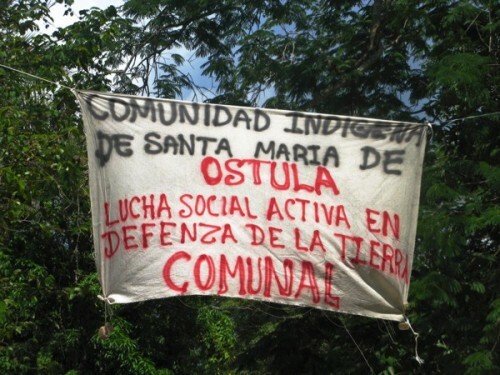 It should be noted that, though the Santa María Ostula community has organized itself to exercise its own forms of justice and self-defense, it has experienced harassment and attacks since 2009, when communards recovered approximately 1,300 hectares. It has also seen the consequences of mass-deforestation due to the operations of transnational corporations during 2012-2013. This entry was posted on Wednesday, June 10th, 2015 at 9:44 am and is filed under Disappeared, Human Rights, Indigenous people, Justice system, Land and Territory, Land rights, Mexico, Militarization, Paramilitary. You can follow any responses to this entry through the RSS 2.0 feed. You can leave a response, or trackback from your own site.